The gods and other spiritual beings of Norse mythology are among the most wondrous and unique of any mythology. The Norse gods had very human-like personalities and frequently intervened in human affairs, but were larger-than-life and awe-inspiring in ways that decisively set them apart from mere humans. Their characters were often richly complex and multifaceted; one-dimensional epithets like “god of war” or “goddess of fertility” typically fail to describe anything more than one of their several aspects. The gods and goddesses weren’t the only spiritual entities the Vikings perceived and interacted with. The whole world teemed with other unseen creatures. Most of these were less powerful than the gods, but they nevertheless played an important role in making the Norse universe what it was. Some of these beings were largely benevolent. Some were fearsome, chaotic, and destructive. And some could be either or both, depending on the context. The Aesir gods and goddesses, the main tribe of deities. They live in the celestial fortress Asgard and maintain the order of the cosmos. 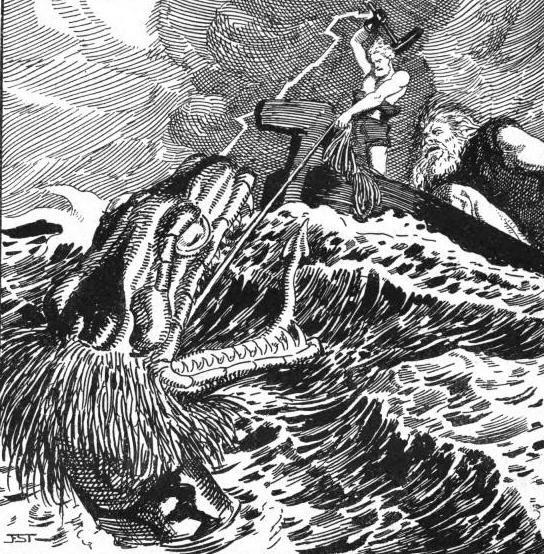 Among them are: Odin, the wisest and most magically powerful of the gods; Thor, the fiery-tempered defender of Asgard; Loki, the cunning trickster; the youthful and universally popular Baldur; the loving sorceress Frigg; Heimdall, the ever-vigilant watchman; Tyr, the upholder of law and justice; Idun, the keeper of the apples of perpetual youth; Bragi, the court poet; and many other lesser-known gods and goddesses such as Vili and Ve, Forseti, Gefjun, Sif, Fjorgynn and Fjorgyn, Jord, Sol and Mani, Ullr, Hoenir, Vidar, Hodr, Vali, Hermod, and Lodurr. The Vanir gods and goddesses, the second tribe of deities. They tend to be more associated with the “natural world” than the Aesir. Among them are Freya, the most popular goddess among the heathen Norse, and Freyr, Njord, and Nerthus, the keepers and bringers of peace and wealth. The obscure figures Gullveig and Odr should probably be grouped with the Vanir as well. The giants, more properly called the “devourers,” the chaotic spirits of night, darkness, winter, and death, who are often the enemies of the Aesir. Among them are: Hel, the ruler of the underworld; the huntress Skadi; Aegir and Ran, the rulers of the sea; the hermaphroditic Ymir, the first being in the Norse creation narrative; Fenrir, the wolf who consumes Odin during Ragnarok; Jormungand, the sea serpent who encircles the land mass where humanity lives; Nidhogg, the snake who gnaws at the roots of the world-tree Yggdrasil; Skoll and Hati, the wolves who hunt the sun and the moon; Surt, whose flaming sword burns the world during Ragnarok; and Garm, an obscure canine who seems to have been, for all practical purposes, synonymous with Fenrir. The elves, light, beautiful, demigod-like beings. The dwarves, master craftspeople who live underground. The land spirits, the animating spirits of a particular locality. 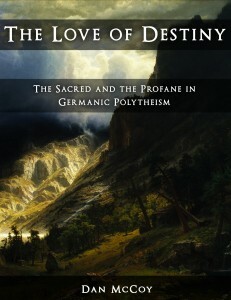 Human ancestors, the worship of whom was an integral part of the pre-Christian Germanic religion. The valkyries, female helping spirits of Odin who influenced the outcome of battles and bore some of the dead back to Valhalla. Others of Odin’s helping spirits, including the eight-legged horse Sleipnir and the ravens Hugin and Munin. Ask and Embla, the first human man and woman to be created. The Norns, extremely powerful female entities whose whims become the fate of all other beings – including even the gods. The Disir, female spirits whose precise identity is highly ambiguous and varies from source to source. Kvasir, the wisest of all beings, who was murdered and had his blood brewed into the Mead of Poetry. 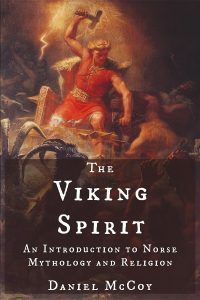 Finally, if you want to learn more about the Vikings’ conception of divinity in general – to go beyond who the gods were and take a look at what they were – then check out the article on Norse Theology.